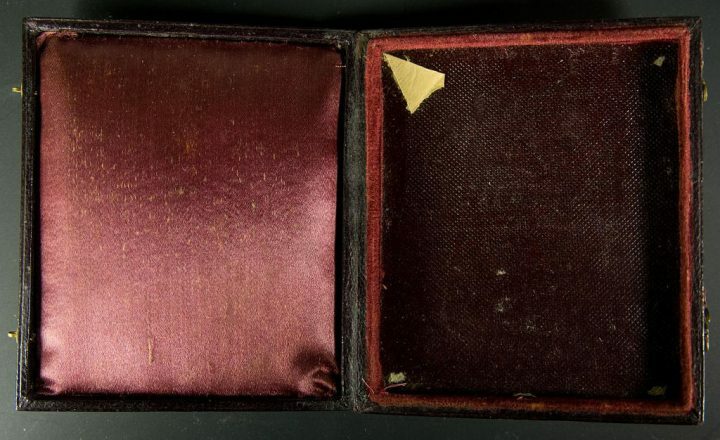 Yesterday, March 19, Tamara Lanier, an American descendant of slaves, filed a lawsuit in Massachusetts to obtain rights to two widely-known daguerreotypes stored at Harvard’s Peabody Museum of Archaeology and Ethnology. The images in question depict two slaves, a father and daughter, photographed as part of a racist study commissioned by a Harvard professor, Louis Agassiz, in 1850, intended to document and prove the inferiority of Black people under the false theory of polygenism — the idea that Black and white people hail from different ancestors and gene pools. The images are thought to be some of the oldest existing photographs of slaves. Lanier says she is a direct descendant of the pair, whose names are Renty and Delia, and that her family holds the claim over their images, not Harvard. She fondly refers to her great-great-grandfather as “Papa Renty,” and says she grew up hearing stories of his public service and self-education after he was taken from Africa. Lanier, a retired chief probation officer for the State of Connecticut and chairwoman of the state NAACP’s Criminal Justice Committee, is requesting a jury trial and unspecified punitive and emotional damages. Lanier is perturbed by the university’s continued ability to profit off of Renty and Delia’s images, which she considers family history. The images were left forgotten for decades but were discovered in an unused storage cabinet in the Peabody Museum’s attic in 1976. The images were used on the cover of a $40 book on anthropology and photography published by Harvard. They were also used on the cover of a program for a 2017 conference at Harvard about academia’s relationship to slavery, which Lanier and her daughter attended. They say they were offended that participants were made to speak under a huge projection of Renty’s face. Reproductions of Renty and Delia’s likenesses are also currently on display on campus in an exhibit called Slavery in the Hands of Harvard. The university has not yet responded to Hyperallergic’s request for comment. Carrie Mae Weems used images commissioned by Agassiz in her poetic, emotional series about ethnography and exploitation called From Here I Saw What Happened and I Cried (1995-96), inspired by her emotional connection with Delia’s image while perusing the Peabody’s archives. The university then threatened to sue Weems. Instead of pursuing action, Harvard settled to receive a fee for each sale of the works, and then administrators purchased the images for its art museum — a move which Weems called confusing. The lawsuit identifies the images as “spoils of theft,” as the images were captured without consent and with deeply troubling intentions. Lanier does not yet know her exact intentions for the images if she is to win her case, and tells the NYT she would have to have a family meeting about it, but does not rule out licensing the images.